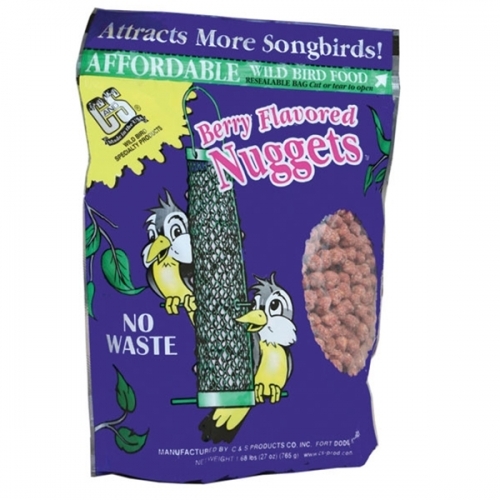 Attract more songbirds with C&S Berry Flavored Nuggets. This no waste formula combines suet, peanuts, corn, oats, plus a cherry and berry flavoring. C&S Berry Flavored Nuggets can be fed alone on a platform or on a Nugget/Peanut feeder. In a traditional feeder, mix with 5-10 lb of seed. Comes in a resealable bag.